Have you tried these? According to the USDA, purple potatoes have more than four times more antioxidants than white ones. Even more surprising to me is the fact that these potatoes have the same amount of antioxidant power as Brussels sprouts, kale, or spinach. 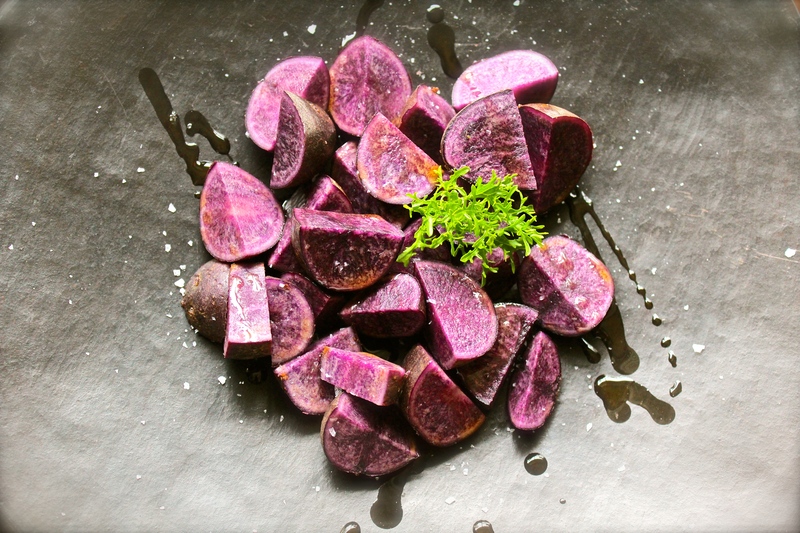 And one small study concludes that eating purple potatoes may help lower blood pressure. I can’t wait to try including them in all of my traditional potato recipes! On day 90 of this 365 day project, I ate my daily five (including a creamy strawberry smoothie). Did you enjoy yours?